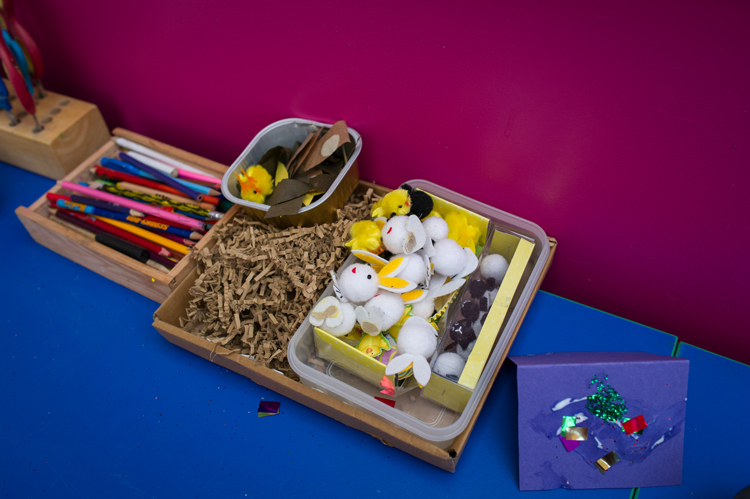 Craft Area; stocked with a wide variety of materials to make collage, pictures, models and props to support play. 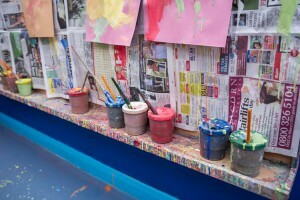 Play dough/clay: stocked with cutters, laminated pictures, recipes, rollers, toy oven, real cake trays. 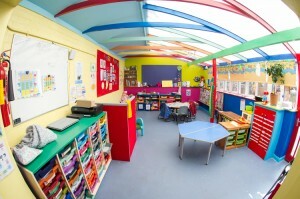 Work station for children to work singularly or in pairs.